Avraham Avinu came to the Children of Ches and asked for a burial plot to bury his dead wife. They guaranteed that he would not have a problem finding a burial plot, saying, “You are a prince of G-d in our midst; in the choicest of our burial places bury your dead, not one of us will withhold his burial place from you, from burying your dead.” [Bereshis: 23:6] Avraham then asked for a specific person and a specific plot — the Double Cave (Me’aras Hamachpelah) that belonged to Efron ben Zochar. The Chofetz Chaim points out that this Biblical narration illustrates one of the great truths of life: nothing ever happens by committee. Whenever something is a communal responsibility or “in committee” such that everyone is responsible for accomplishing something, it is never completed. Each person in the community feels that the other person will wind up doing it. When the offer was in the form of “no man in our midst will refuse you the right to bury your dead in his piece of land”, Avraham was not satisfied. Everyone was thinking “He,” not “Me.” Avraham insisted on dealing with a specific person over a specific piece of land. The Torah says that Avraham was buried by his two sons — Yitzchak and Yishmael [25:9]. Rashi, based on the Gemara [Bava Basra 16b], says that we see from the sequence of names in this verse that Yishmael repented from his evil ways that previously caused Avraham to banish him from his house. Yishmael had returned to the house, yet he deferred to Yitzchak and gave him the primary role in the burial of Avraham. Rav Schwab asked why the Gemarah had to wait until this pasuk, in Chayei Sarah, to prove that Yishmael repented. There is an earlier proof that Yishamael had been taken back into the household of Avraham. On the way to the Akeidah, Avraham took Yitzchak and his two lads. Our Sages say that the two lads were Eliezer and Yishamael. So many years prior to Avraham’s death, we already saw that Yishmael and his father were reconciled, after the former had presumably repented. 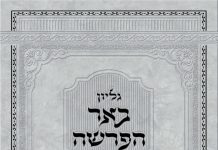 Rav Schwab suggested that the second proof is a better proof of Yishmael’s repentance. It is possible that as long as Avraham Avinu was alive, Yishmael was on “good behavior,” but his external actions did not reflect his true feelings. Now that Avraham was dead and Yishmael still deferred to Yitzchak, we know that he had sincerely repented. Rav Simcha Zissel Brody (the Rosh HaYeshiva of the Chevron Yeshiva) has a different approach. He says that our pasuk in Chayei Sarah is the only definite proof that Yishmael repented. The original action of Yishmael which frightened Sarah and prompted her to urge Yishamael’s banishment was the fact that Yishmael was mocking Yitzchak [Bereshis 21:9] “as a slave mocking his master.” Sarah saw terrible character traits, terrible impudence on Yishamael’s part. Despite the fact that _he_ was the son of the concubine and had an inferior status in the household, he treated his brother Yitzchak as if Yitzchak had the inferior status. 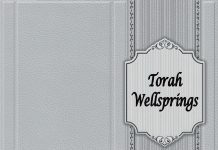 It was the lack of his Derech Eretz [proper respect and behavior], as much as any particular action on his part, which convinced Sarah that he could not remain together with Yitzchak in one household. Consequently, Rav Simcha Zissel says, the only acceptable proof that Yishmael repented of his former ways is an incident that demonstrated Yishmael showing proper Derech Eretz towards Yitzchak. That proof is in our pasuk, where Yishmael let Yitzchak walk ahead of him in Avraham’s funeral procession, despite the fact that Yishamael was older. Therefore, our Sages can say unequivocally, that we see from the sequence of names in our pasuk that Yishmael did Teshuvah [repented from his evil ways]. Previous articlePresident Obama: Jail Time for Those without Health Care Insurance?